Pacific Grace and Pacific Swift. 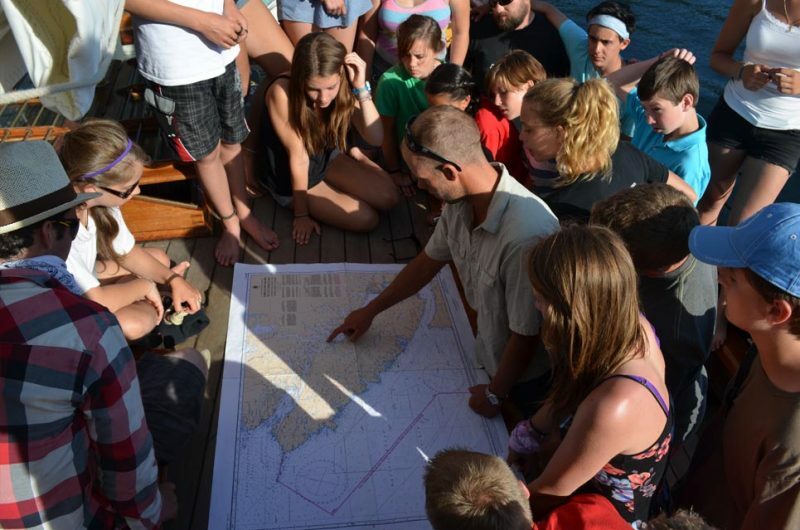 Skipper explains the trip route. 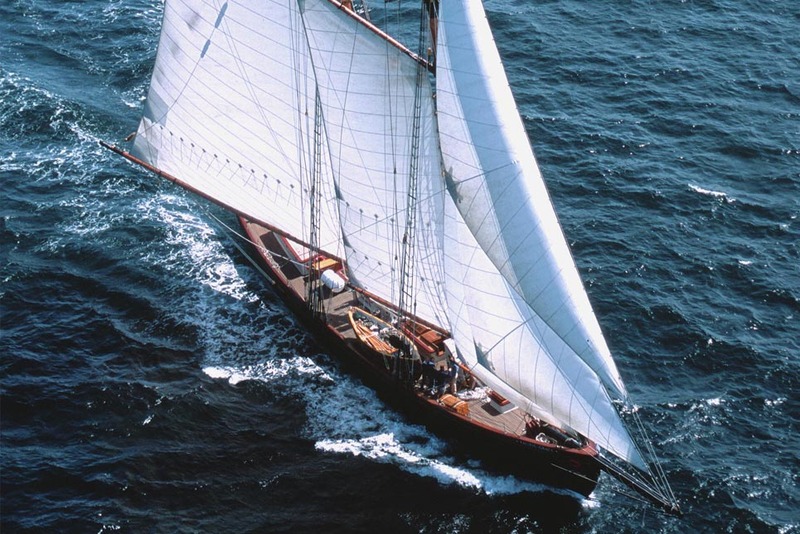 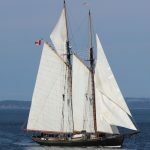 The Sail and Life Training Society (SALTS) was founded in 1974 and is a registered charity in Canada and the USA (FORGN tax exempt status in the USA). 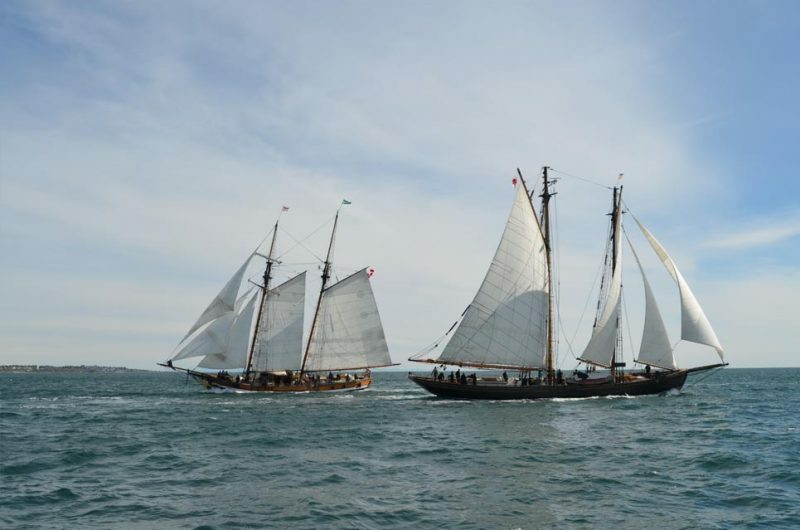 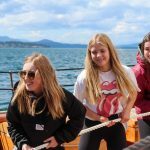 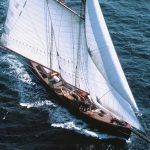 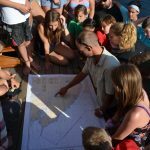 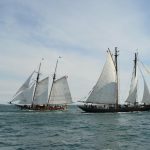 The Society operates two Tall Ships, Pacific Grace and Pacific Swift, and offers sail training to young people aged 13-25 (as well as Day Sails for all ages). 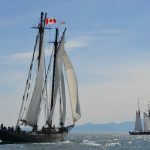 These ships are maintained at the SALTS Marina in Victoria BC. 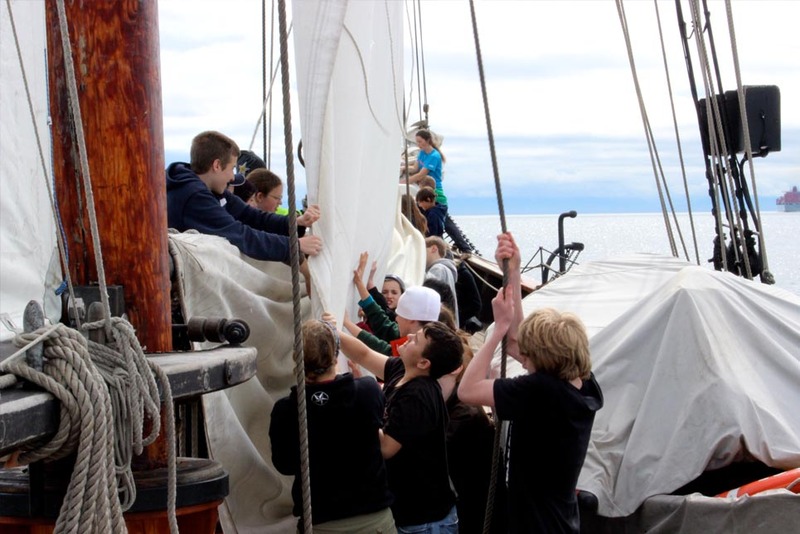 Each year, 1,700 young people have the life-changing experience of learning to sail a Tall Ship with SALTS. 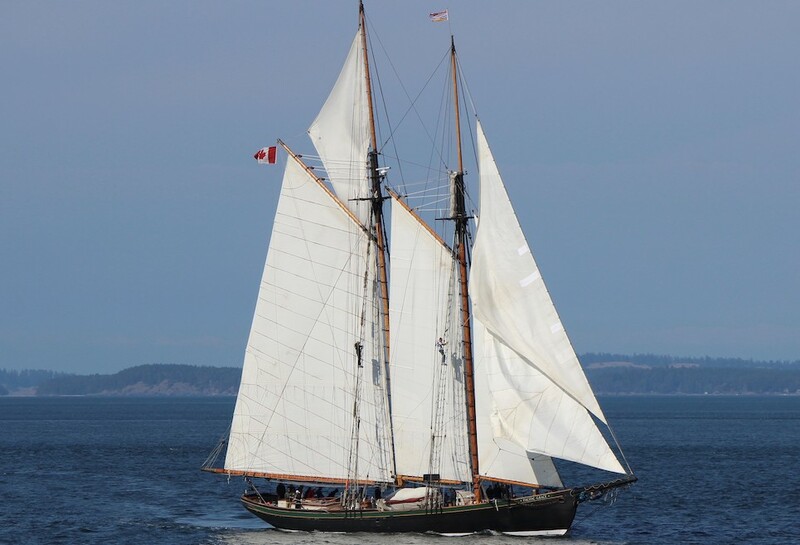 Voyages take them to the Gulf Islands of BC each spring and fall, and in the summer the ships circumnavigate Vancouver Island. 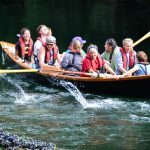 Young people from all socio-economic backgrounds participate, and a bursary programme helps cover costs for those who cannot afford to pay. SALTS partners with numerous other youth organisations to provide bursaries to youth who are at-risk, from low income households, or from challenging life situations. 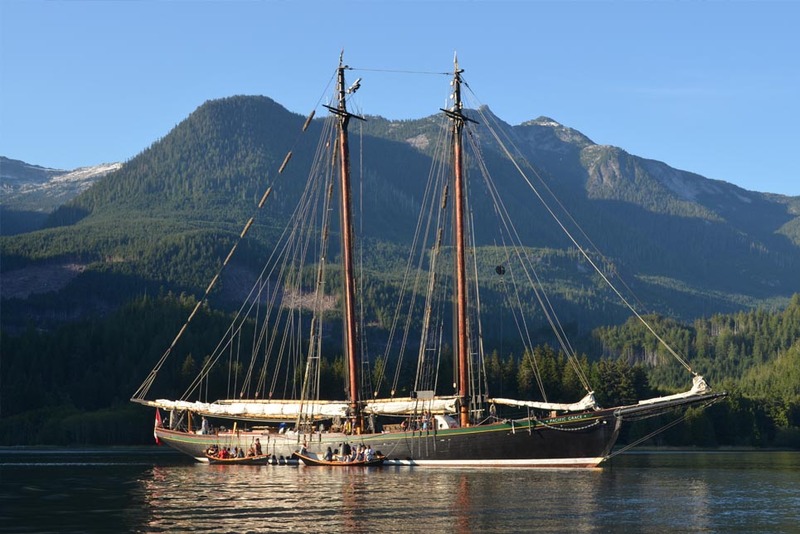 Built by SALTS Heritage Shipyard in Victoria, the Pacific Grace slipped her lines 31 May 2001 to embark on her maiden voyage. 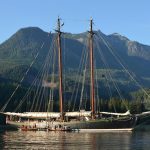 The Pacific Grace completed several successful seasons of coastal programmes before embarking in September 2003 on her maiden offshore voyage to the "South Pacific." The Grace also sailed offshore from June 2007-June 2008. 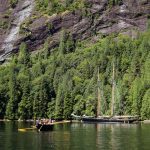 Explore beautiful British Columbia's coastline, which is renowned for its spectacular fjords, rugged glaciated peaks, and abundant wildlife. 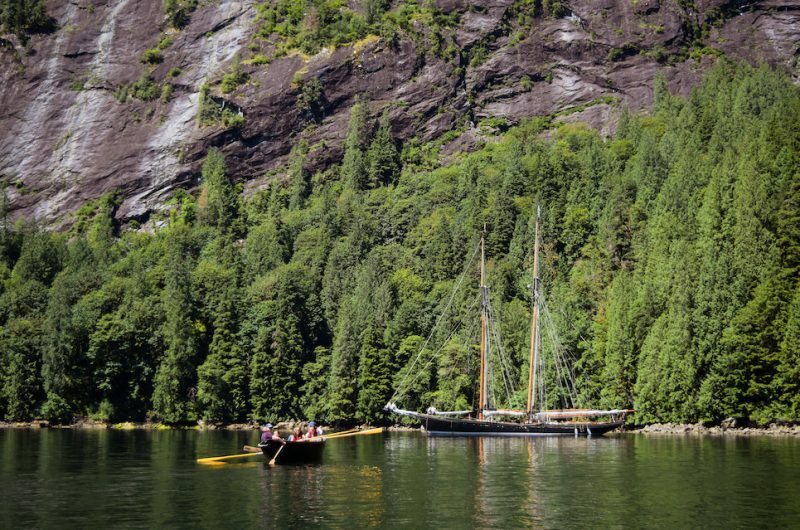 Or sail along the rugged west coast of Vancouver Island. These are just some of the exciting experiences you'll share while participating on board one of the SALTS Tall Ships. Shore excursions include visits to white sand beaches, heritage sites on Haida Gwaii, or rainforest walks to remote lakes and hot springs. 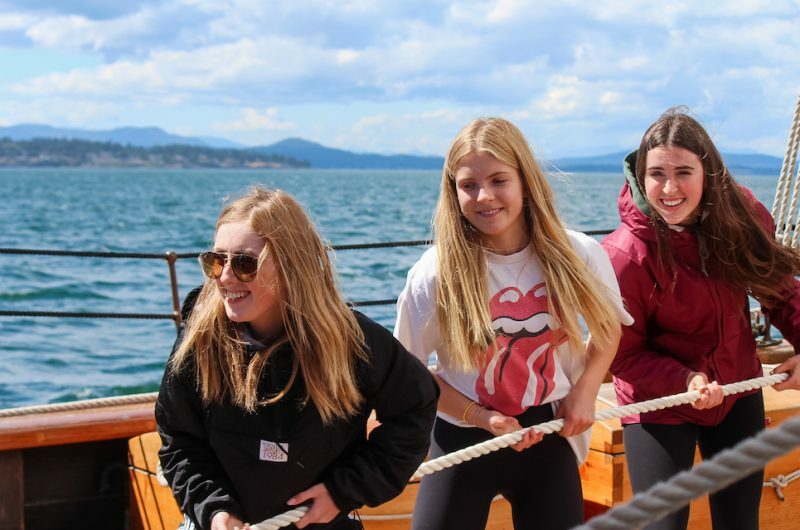 Community oriented relationships and mentorship are a major part of our day-to-day programme, as our mission is to develop the spiritual, relational, and physical potential of young people. Trainees aboard our ships participate in all areas of ship navigation, sail and line handling, galley duties, and standing watch. 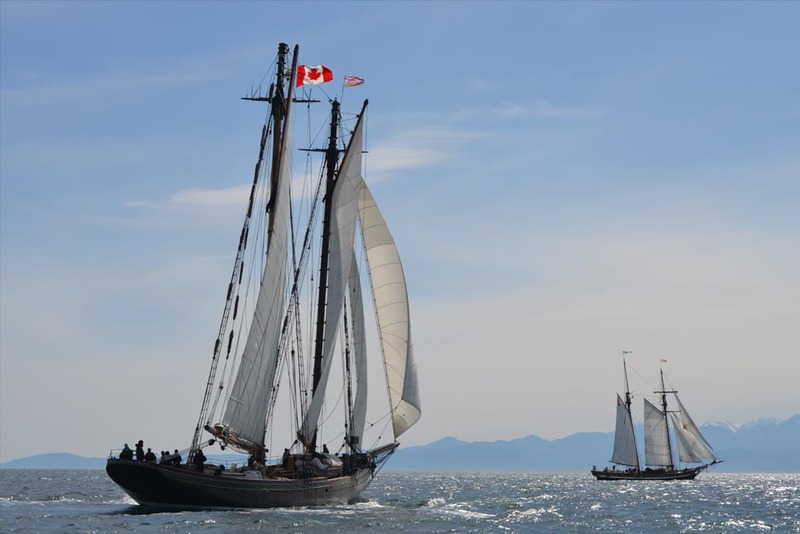 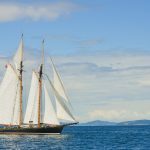 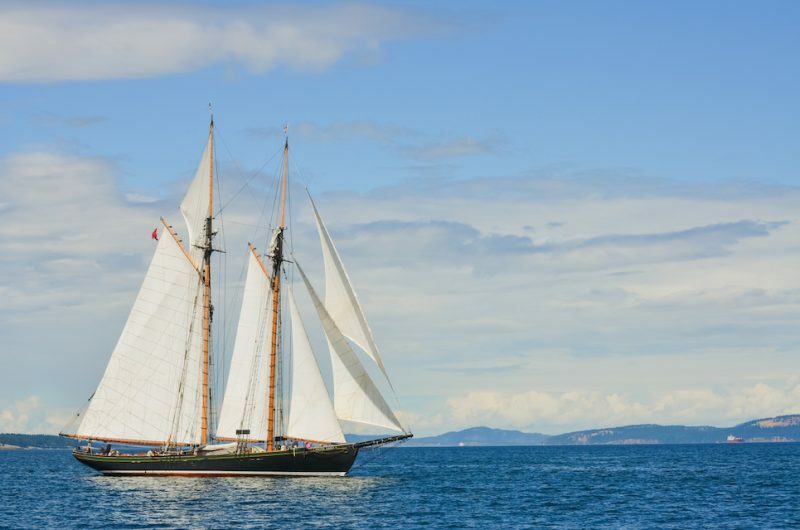 The west coast of Canada is an incredible place to explore and what better way to see it than from the deck or helm of one of SALTS Tall Ships? 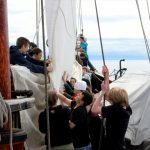 Each trainee on board is assigned a bunk and a watch group. 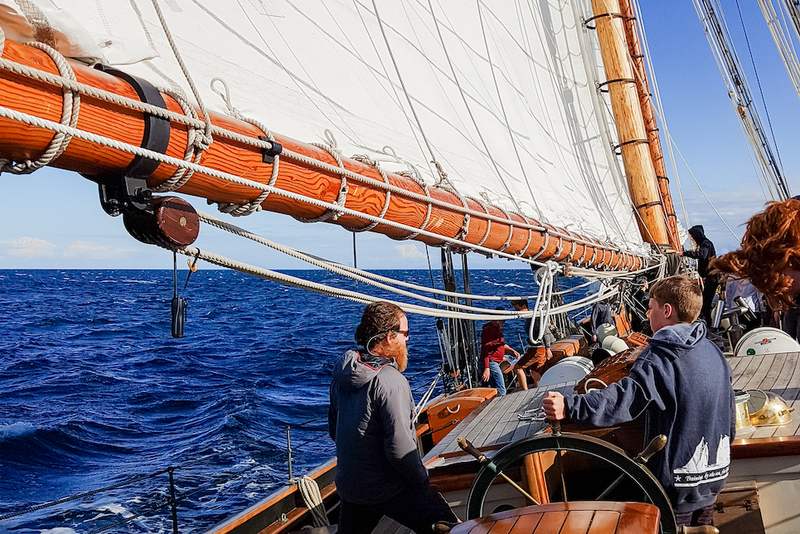 As a member of that watch, you will take part in all aspects of life aboard: raising and lowering sails, galley work, bosun's chores, steering the ship, and anchor watch at night. 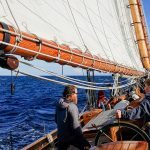 In addition to being trained as crew aboard a large sailing vessel, trainees will be instructed in the following skills: chart work and navigation, rope work and knots, theory of sailing and rules of the road and history of sailing and small boat handling. While off watch, time is available for individual pastimes such as swimming, using the rope swing, wildlife viewing, and climbing the ship's rigging. Delicious homemade meals are prepared on board by the ship's cook. 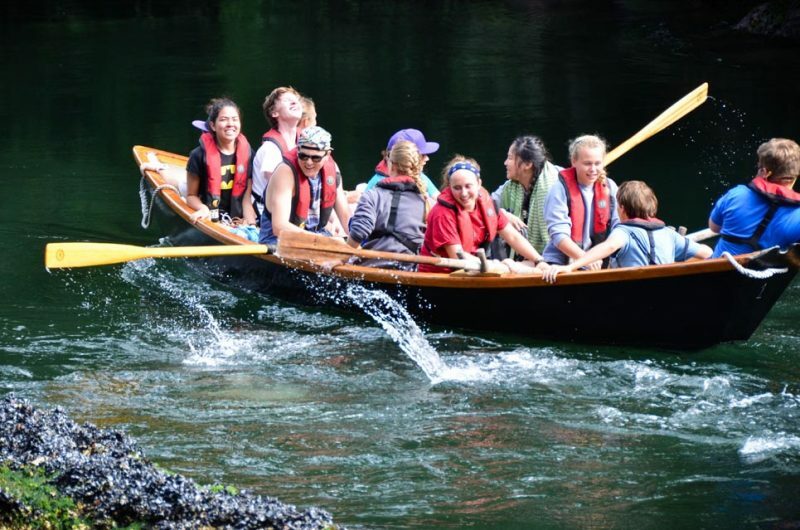 Trainees row ashore in our traditional dories for beach combing adventures, wide games, hiking, and exploring in marine parks along the way. 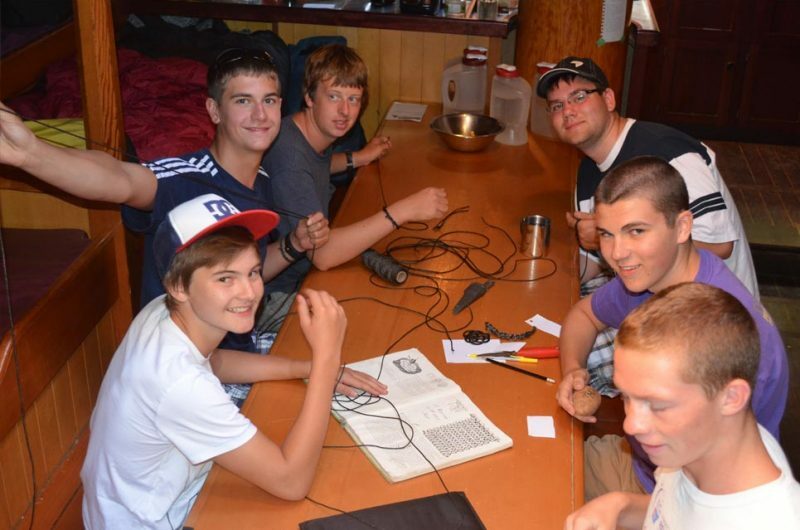 Evening "mug up" includes lively games, singing, stories and tasty treats.